What Is the Lever or Irish Cottage Knitting Style? 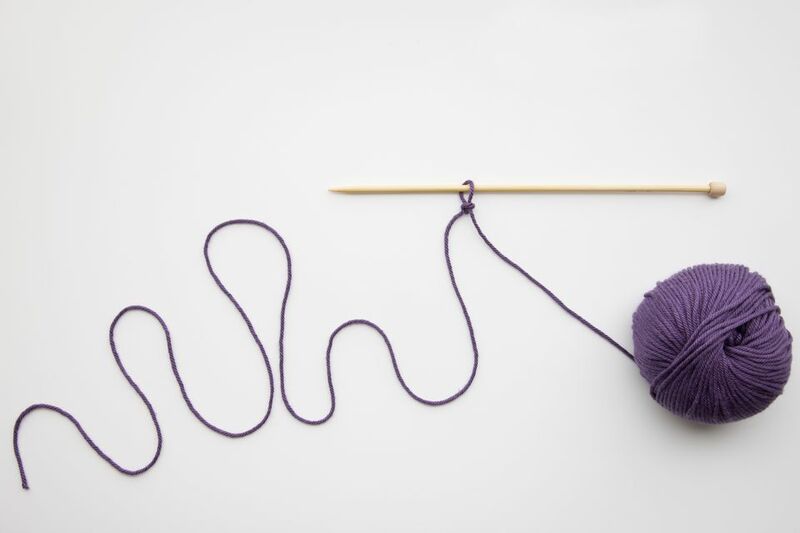 Most of the fastest knitters in the world favor a style of knitting that's sometimes known as lever knitting, pivot knitting, or Irish cottage knitting. This is a great method for knitters who knit for a living, though anyone can learn it. It allows you to knit really quickly and doesn't cause as much pain in the hands and joints as other methods. Lever knitting is a sort of variation of English knitting in that the yarn is held in the right hand. It's different, though, because one needle is held stationary—acting as a pivot or lever—while the other needle does all the work. The yarn is usually tensioned around the lower fingers of the hand and the hand moves back and forth to form the stitches. It's a fluid movement that cuts down on repetitive strain. Along with speed, that's why it is historically used by production knitters who need to be able to work for many hours each day without discomfort. Lever knitting is easily learned on long straight needles, one of which you can pop under your right arm as you work, keeping it stable. That way only the left-hand needle moves. A knitting sheath or makkin belt can also be used to hold a straight needle stationary (and that's what you'd probably use if you were knitting while standing or walking). Once you're comfortable with working with straight needles, you can also perform the same actions with circular needles. Whenever you try to learn a new knitting style, there's going to be some frustration and a big learning curve. After all, you have spent years training your hands to work the needles in a certain way and now you have to reprogram your brain and muscles to do something entirely different. If you're determined to learn it, practice and a lot of tutorials will help. Perhaps the most famous proponent of lever knitting is Stephanie Pearl-McPhee, also known as the Yarn Harlot. She learned the method from her grandmother and teaches classes on it. There's a neat YouTube video of her demonstrating the technique. Unlike many videos, this one gives you a knitter's view of the needles, so it is very helpful for understanding the motion. Heartstring Fiber Arts' blog has a nice explanation of the style, which the writer, Jackie E-S, refers to as lever-action knitting. It breaks down the movement into individual photos, stopping it in its tracks so you know exactly what to do when. There are also very detailed written explanations that you'll want to study. No matter where you get tips from, the most important thing is that you don't give up hope. Continue to practice the technique without reverting to the knitting style you're accustomed to and you'll get it. Many bloggers in the knitting community have written about their experiences learning this method. It's not uncommon for it to take weeks to understand, much less find a rhythm that rivals your normal knitting speed. Yet, they also write that it was worth the effort, especially those who love knitting but were faced with the reality that they might have to give it up to reduce pain. Can You Get RSI From Knitting?